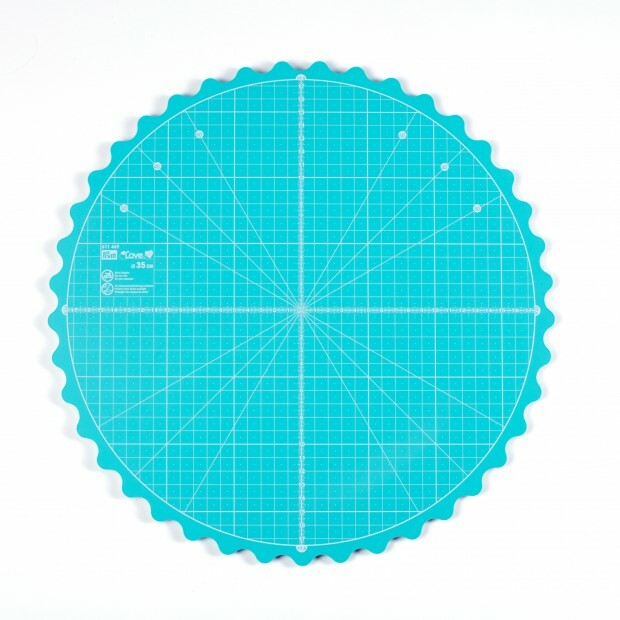 Prym Love Rotating cutting mat for rotary cutters and craft knives, by rotating the cutting mat, the fabric is brought into the best possible position for cutting. Don't forget to check our range of rotary cutters. 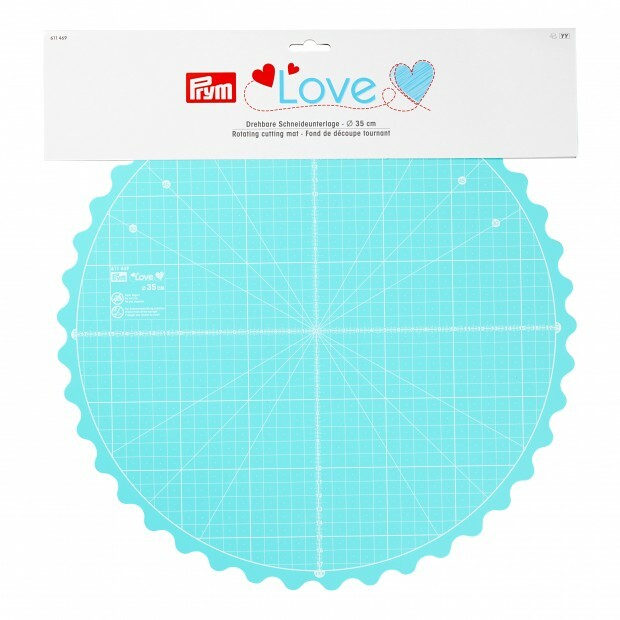 For patchwork, quilting or handicrafts: the rotating cutting mat from the Prym Love range has been thought through to the last detail. A particular feature is its wavy edge with non-slip grooves, which make it easy to move the wide mat, so that the project is always brought into the optimum position for working. There is no need to change the position of the fabric or the material while cutting with the rotary cutter or art knife – this enables quick, precise cutting and makes the work generally more convenient and comfortable. 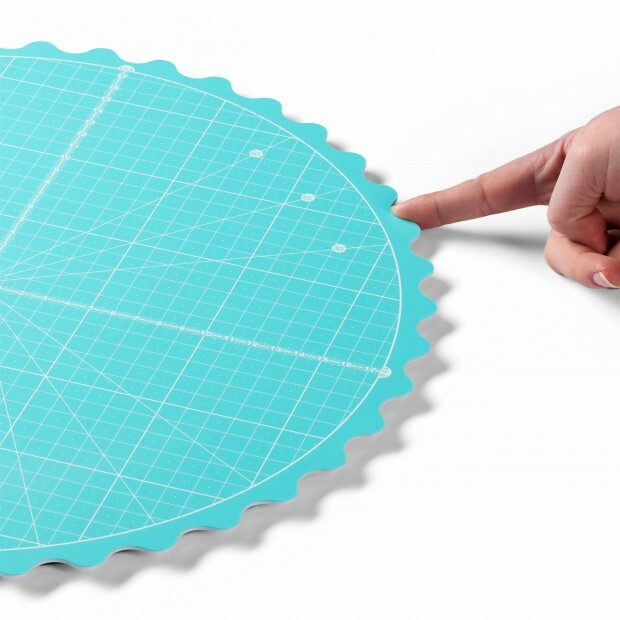 The non-slip underside of the cutting mat stays securely on the work table, prevents the matt from slipping and maintains the position of the fabric to be cut. The 35 cm diameter of the large work surface with its white, metric scale in the Prym Love colour allows relatively large projects to be worked on.